Reacting to the controversial tweets of Congress leader Shakeel Ahmad, the Bharatiya Janata Party (BJP) on Thursday, 19 November, accused that the former has the backing of Congress president Sonia Gandhi, and said the party should clear the thought process they are propagating. "It is quite astonishing that Shakeel Ahmad, who is a tall leader of the Congress Party, had tweeted yesterday communalizing terrorism. We all demanded that he should feel sorry for it. Rather than feeling sorry, he is not only substantiating that but he is also furthering his demands. It only means that he has the backing of Congress president Sonia Gandhi. 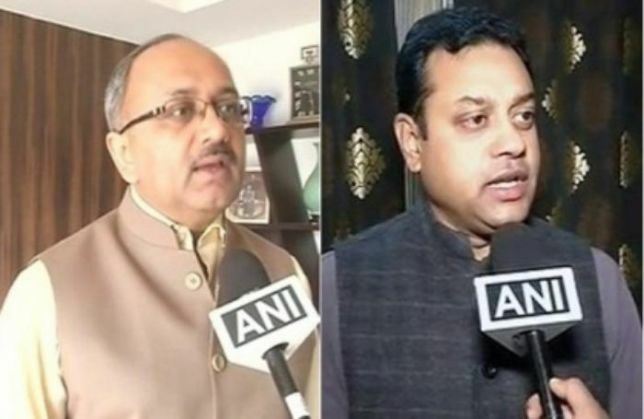 Without this backing, he could not have taken this step that he has taken today," BJP spokesperson Sambit Patra told ANI. He added that there were rumours that during the UPA regime, Dawood Ibrahim wanted to surrender. "Is it that because of such kind of mentality of the Congress of seeing everything through a communal angle, Dawood was not made to surrender during the Congress era because he belongs to a particular religion?" he asked. "Tomorrow, supposedly if Dawood is brought to India, will Shakeel Ahmad say that he should not be caught because he belongs to a particular religion and will Sonia Gandhi support Shakeel Ahmad's thought process? The Congress Party and Sonia Gandhi should clear as to what kind of thought process they are propagating," he said. Earlier, Shakeel Ahmad had sparked an outrage across the BJP by saying if underworld don Chhota Rajan and United Liberation Front of Asom (ULFA) militant and leader Anup Chetia had been Muslims, then the BJP would have trained their guns at the UPA citing 'vote bank politics'. "Thankfully Chhota Rajan&Anup Chetia(ULFA) are not Muslims. Had they been Muslims Modi govt would have a different narrative altogether," Ahmad had said in a tweet. Reacting to his second tweet where Shakeel Ahmad said that he was overwhelmed by the open support of independent intellectuals on his first tweet, BJP leader Siddharth Nath Singh said that the former should have apologized for trying to communalise terror. "In the second tweet where he should have apologized, he is suggesting that in India, the intellectual and opinion makers are supporting him thereby saying that they support his communal agenda of dividing India on the basis of terror by saying that there is a religion and terror, they are not dealing and they are linked," Singh told ANI. "Reactions of people misguided by BJP&RSS, didn't surprise me, but I'm touched & overwhelmed by the open support of independent intellectuals," the Congress leader today said in his second tweet.